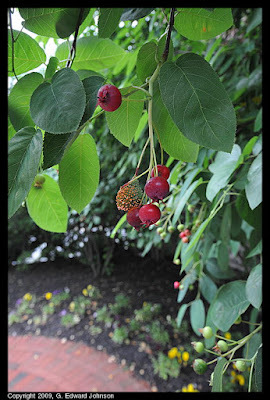 I saw this tree with some really odd fruits on it. A lot were green but they were turning red as they ripen. Some however, were oddly spikey with only the tips of the spikes turning redish. I'm guessing they are infected with something and aren;t naturally like that. The trees are right near the corner of Rosedale Ave and Wisconsin Ave if you want to take a look at them. 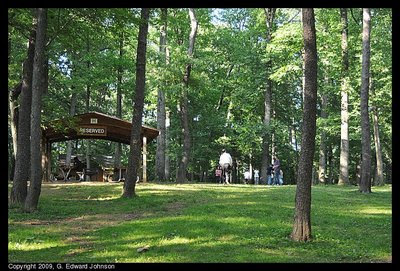 Montgomery County Planning Board approved a recommendation for a Tai Chi court at Cabin John park in Maryland. The proposal is to build a 40 foot in diameter court out of black and white flagstone with Benches and trees along the edge of the court near picnic shelter "H" which is near the miniature train station. It will be built as a public/private partnership with the Wu Wei Tai Chi Club and will cost from $60,000 to $70,000. The club has already raised $10,000, now that the project is approved they will raise the rest of the money. I believe the spot of the court will be to the right and behind the picnic shelter in this picture, where the people are playing. The post reports that a five story office building was purchased by Montgomery County Coalition for the Homeless (with a low-cost 5.25 million dollar loan from the county) and will be converted into single room housing for men and women in need of inexpensive housing. The ground floor will be leased out as retail. 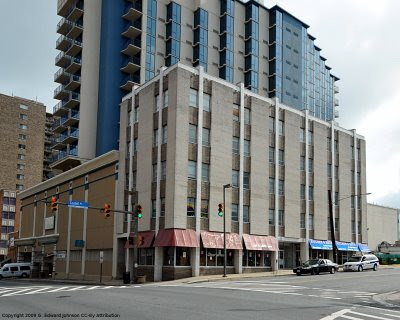 The building is on the corner of Woodmont Ave and Cordell Ave in downtown Bethesda, MD. Supporters of projects such as these say that finding housing for the homeless quickly makes it easier for them to focus on finding jobs. Residents will lease month to month and as long as they meet eligibility requirements will be allowed to renew the leases indefinitely. Not everyone is happy about this project, the post quotes Jack Alexander, a former Bethesda-Chevy Chase Chamber of Commerce president and a partner in a Bethesda real estate brokerage firm, said a per-unit price of about $170,000 is too high. "For a 10-foot-by-12-foot room, that is just beyond comprehension," he said. Others are upset because they have been having trouble getting information about the project from the county. I wonder how people who take the bus to Bethesda because they can't afford to live here feel about their tax dollars loaned to make really convenient housing for the soon to be former homeless. Back in January I made a couple of posts about the bank on Cordell Ave that was demolished (see "Bank Demolition" and "A bare lot"). Well, here it is the end of May and you can see the new building starting to take shape at 4834 Cordell Ave, Bethesda, MD. The foundation is all concrete and just about done. There will be outdoor seating and potential for a roof-top deck (sounds like they are angling for restaurants, always a safe bet in Bethesda). The sign says there is office space, but the web site (unfortunately unlinkable) says that it will be two stories of retail, one opening to Cordell Ave and one on Woodmont Ave. Each will have 4,600 square feet of space. It should be ready this Fall (late fall from the looks of it). I was walking down Woodmont Avenue near Battery Lane in Bethesda and saw this. 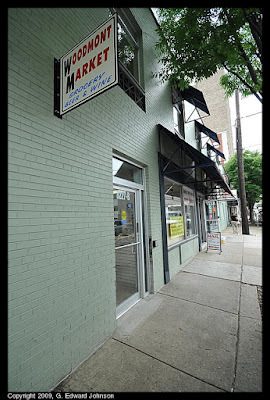 "Coming Very Soon, Woodmont Market" They were working on it today and the shelves and coolers are there already. It is a really small place so I don't quite know what to expect from it, time will tell. 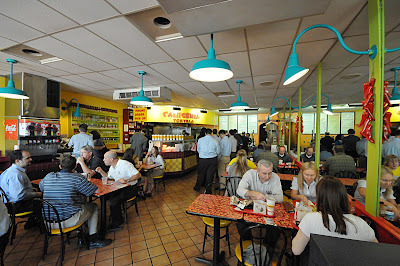 It is two doors down from Woodmont Deli at 8227-B Woodmont Ave, Bethesda, MD. 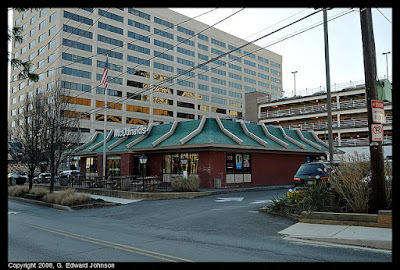 The land under the McDonalds at 4500 East-West Highway in Bethesda, MD is going to be replaced with 223,300 square feet of new office and retail development. There will be ground floor retail, a public plaza, and a bike path to the Georgetown Branch Trail. DCmud has a detailed post with lots more info and sketches. Rockville, MD is pulling out all the stops this weekend, it is their annual "Hometown Holidays" celebration. Three days of events culminating in the Memorial Day parade on Monday at 10:30. The bad news is you have missed the first day already. All is not lost though, the festivities continue on Sunday. 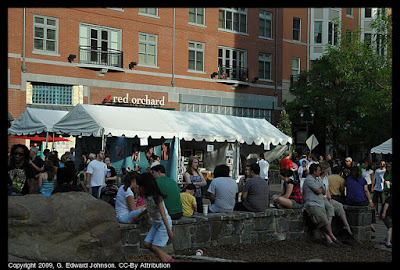 "Taste of Rockville" try food from the menus of restaurants such as Lebanese Taverna, Armands, Potomac Pizza, Rocklands BBQ, Whole Foods, Phillips Seafood, Spice Xing, Bombay Bistro, Oro Pomodoro, Vocellis, Yogiberry, Noodles & Company, Gifford's, Baci, Carmen's Italian Ice, La Tasca, and others! There is also more of the Visarts Fine Arts Festival with jewelry, paintings, photograph and more. Rides and lots of blow-up things to climb and jump on for the little kids (individual rides between $1 and $3, unlimited rides for $20). These are mostly geared at the younger kids, lots of 3 to 5 year olds on them and pretty much all the kids were under 10. There are also six stages with music, puppets and more, the going green expo, and a smattering of other events. Check out the schedule and see if anything interests you. As you might have guessed by now, I went on Saturday, it was fun. I've never seen a cottonwood tree before, so it never crossed my mind that they might produce cotton. 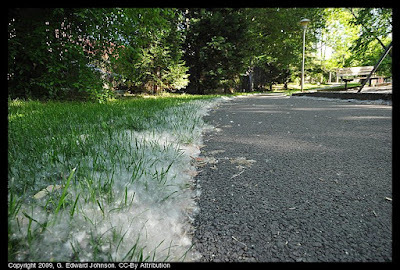 Imagine my surprise when I went for a walk and saw lots of cottony fluff all over Battery Lane Park in Bethesda, MD. 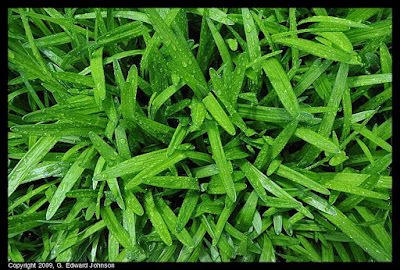 The stuff was everywhere, big clumps of it. And there were bits of it floating in the air. It took me a few minutes to track it down to the trees by the playground. If you have a little time over the next few days, I'd recommend that you go there and take a quick look, it is pretty interesting. 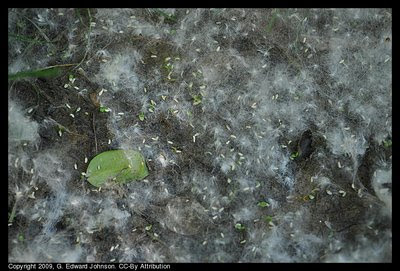 If you look close at the drifts of fluff you can see the small white seeds. I'm not positive, but I think that some of them have already sprouted. 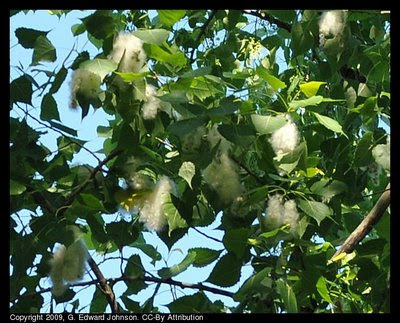 Some cottonwood trees are female and some are male. Only the female trees have the fluff. The seed pods are way up in the top of the tree and each one produces a lot of the snow-like fluff. 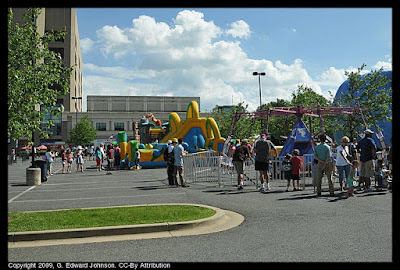 Rockville, MD has a bunch of neat stuff scheduled for Memorial day weekend (May 23-25), it is their annual Hometown Holidays celebration. 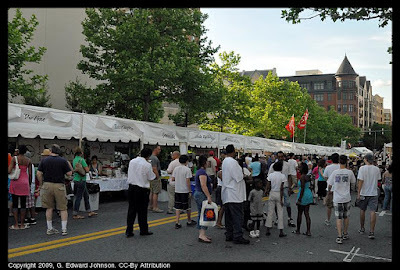 Check out the link for full details, but some of the highlights are Taste of Rockville on Saturday and Sunday. Pat McGee and Sharon Little singing on the main stage starting at 7:30pm Saturday. The Wailers and Can't Hang on the main stage starting at 7:30pm Sunday. On Monday there is the Memorial Day Ceremony at 9:30 am followed at 10:30am with the 65th Annual Memorial Day Parade. Update 5/20: It is free, no purchase necessary. The line was longer than usual, but pretty clumpy, you'd see 4 or 5 people walk in together and the line would get long, then no one for a while and the line would shorten up. I added a picture too. Planting a tree? how about saving money too? Montgomery county is trying to increase the number of trees on residential property. Their "Leaves for Neighborhoods" program lets you get $25 dollars off a qualifying tree you buy before May 31st if costs $75 or more, and you print out the coupon on their website, and buy from one of the participating nurseries. That's a number of restrictions, so see the website for full details. I wouldn't mind having a redbud tree. I went down to "Strut Your Mutt" in Bethesda, MD today. Man were there a lot of dogs. All sizes too, the smallest one I saw was probably 5 pounds or less and the largest was over a hundred pounds. There were lots of dog-related booths too and a number of dogs walking around with "Adopt Me" bibs on them. There was also a moon bounce and inflatable slide for the kids. It is on Woodmont Avenue between Bethesda Ave and Elm St. It runs until 3pm today, so if you have been watching this blog carefully and see this post immediately you have 45 minutes of it left, otherwise, you will have to wait until next year. The funniest thing that I saw there was was someone walking their cat on a leash, I don't think it was one of those exotic cats either, just your normal house cat. That is one bold cat. Most conspiracy theories have, at their base, a tiny nugget of truth in them then loads of speculation or pure fiction. Sometimes they even involve NIH, but rarely do they relate to other parts of Bethesda, MD. 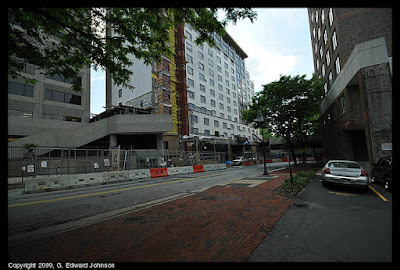 Earlier this week I blogged about the storm of stuff coming from the hotel construction on Waverly St. There were actually quite a few news articles about it, all seemingly sourced from the same Washington Post article that I saw. This blog post however, takes the cake, calling it a "mysterious substance raining on Bethesda, MD" full of scary conspiracy theory stuff like "Local officials say they’ve traced the source of the material to a nearby construction site, but not everyone believes this answer." and "Chemtrail conspiracy theorists think they [NIH] could be conducting a new experiment on the people right outside their gates." Anyway, I find it somewhat funny. Especially since I walked by there and there is quite a bit of little styrofoam balls blowing around in the breeze. When all the facts point to it coming from the construction site, I wouldn't be too hasty to dismiss the obvious answer. 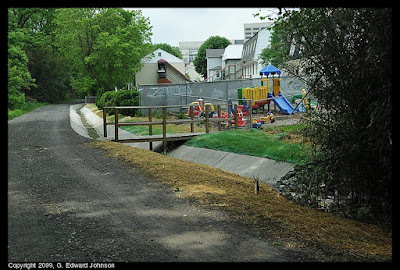 Today they were putting asphalt down on a small stretch of the Georgetown Branch trail, from the entrance at Elm Street Park to just outside the tunnel (going east) in Bethesda, MD. 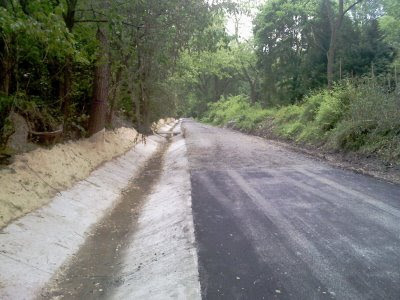 They also have recently paved the drainage ditch that runs alongside the trail. In the photo, you can see where the blacktop ends in the lower right corner. You can also see the wood plank across the ditch where you would access the trail from Pearl St. When I went by they had just finished the paving, the blacktop was still warm and they were still packing up. Update 5/16: I went down the trail a ways to see how far the concrete drainage ditch goes. It continues until near the bridge at East-West Highway. The Washington Post has an article about how the construction of the Hilton Hotel on Waverly St in downtown Bethesda, MD is causing problems. They have been sanding the side of the building and it is causing a blizzard of fine dust and plastic foam to swirl through the air. The problem, began in "late March, [and] continued as recently as yesterday, despite eight more visits from county environment officials, three citations totaling $1,500 in fines and a threat by the county to withdraw the building permit." There is a daycare right next to this building (Childtime), I wonder how those parents feel about this. Update 3:20pm: I walked by there and even though they weren't working today there were a lot of small bits of Styrofoam swirling around on the ground. Nothing you would inhale, but anything smaller would have blown away by now. 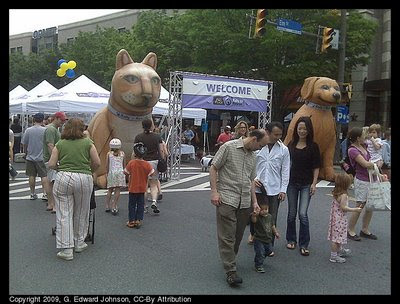 If you are planning on being in Downtown Bethesda, MD on Saturday I hope you like dogs. It is the 4th annual Strut Your Mutt Dog Parade and Festival. There will be a a Pooch Parade, dog fashion show, canine contests, kids play area, and more. It runs from 10:00am to 3:00pm with the dog parade at 10:45. I wonder if Alley Cat Allies will be watching from a window. 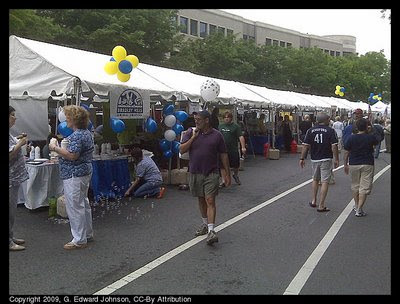 The sixth annual Bethesda Fine Arts Festival will be held Saturday, May 9 & Sunday, May 10, 2009 in Bethesda's Woodmont Triangle. Fine art and crafts created by 150 of the nation's best artists, live entertainment and great food from some of Bethesda's best restaurants! Arts include photography, painting, furniture, ceramics, glass, sculpture, jewellery, and clothing. 10am to 6pm Saturday, May 9th and 10am to 5pm Sunday, May 10th, 2009. Feed the meters, Help the homeless? 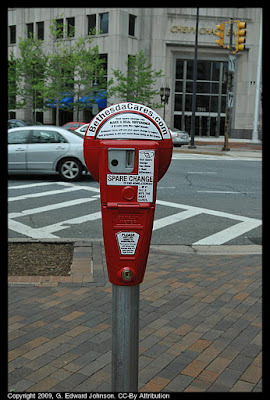 The Washington Post has a story about the new meters appearing in Bethesda. They are old parking meters but they aren't for parking. They are for donating to Bethesda Cares, an organization dedicated to reducing homelessness in Bethesda, MD. There are four of these meters spread throughout downtown. The goal of these meters is more to raise awareness than to collect money. According to Sue Kirk, the director of Bethesda Cares "With these meters, I mean, we're literally talking about pocket change, but we're already seeing people doing double takes as they pass by. As people start to notice, we're hoping it will do a lot of good." I was a bit disappointed they took off the thing you spin and the time dial, I'd like to be able to put money in and have the time remaining go up. If your bored one day, you could try and find all four and put a quarter in each. According to Montgomery County's DPWT, parking lot 31A is closed for a couple of months so they can "relocate utilities". 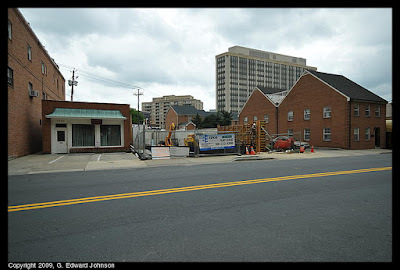 This is a really tiny (about 20 spaces) lot on the corner of Woodmont Avenue and Bethesda Lane, right in the heart of Bethesda, MD and right across the street from a much larger surface lot. The closure was supposed to begin "On or about May 1st" but this morning there were still three cars parked in the lot. The reason they need to relocate utilities is to prepare for a much larger construction project that will turn both this lot and the large one across the street (lot 31) into a large mixed-use development with an underground public parking garage containing nearly 1,500 spaces. Construction for that project is scheduled to begin in the Fall of 2010. More info about the development at the Gazette. Update 5/30: The lot still isn't closed, the news release has been updated to a Mid June closing date, exact date to be determined. Update 8/20: This lot still hasn't been closed, now it is scheduled to close around 9/1, we will see if they stick to that. Update 11/16: Next they said it would close on 11/1, then pushed it to 11/16. It looks like that date stuck, because it is closed now. Today I went to watch a horse race. 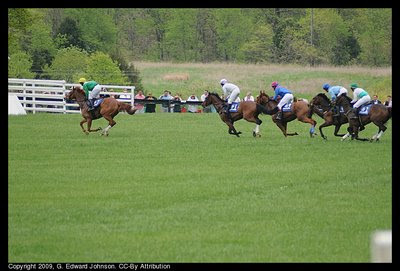 No, not the Kentucky Derby, a different horse race that happens to be on the same day and is much closer to were I live. 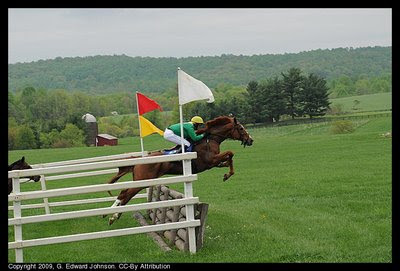 I went to the Virginia Gold Cup a four mile long steeplechase run on a large grass field with timber jumps the horses go over. It is held the first Saturday of May every year in The Plains, VA. This years winner was Salmo and last year's winner, Bubble Economy came in second. In the photos, Salmo is the one with the green-shirted rider. It is actually a whole afternoon of races, they hold 6 races, but the gold cup is the main draw. I have a photo album from the fourth race, the Starter Allowance Hurdle as well as one from the main event, the VA Gold Cup. Celebrate Mama: Performance by Rocknoceros, puppet show, belly dancing, giveaways, market & more. Woodmont Avenue in Bethesda Row. 11am-4pm. Woodmont Avenue around Bethesda Row will be closed for this. Glen Echo Park Family Day: Family Day celebrates the opening of the Park's historic Dentzel Carousel for the 2009 season and highlights the full range of activities offered at the Park. The celebration also recognizes the Asian-Pacific American Heritage during the month of May with hula dance performances and art activities. Families will enjoy artist demonstrations, magic shows, family dancing, Irish dance performances, tours by National Park Service rangers and $1.25 carousel rides. The festivities begin at 11 a.m. and continue until 4 p.m. The playground has been closed for renovation and is slated to re-open early May. Hopefully by that they mean May 2nd, but I don't know if it will be open for family day. Free comic book day: Free Comic Book Day is a single day - the first Saturday in May - when participating comic book shops across North America and around the world give away comic books absolutely FREE* to anyone who comes into their stores. Big Planet Comics is participating. May 2 - October 31, 2009 in Veteran's Park. This Saturday is the first one of the year.